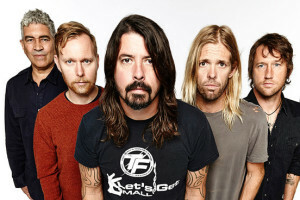 Foo Fighters revealed that Boyz II Men’s soul 90s will sing on their new album “Concrete and Gold”. Dave Grohl told BBC 6 Music that he had the idea of this extraordinary collaboration when he saw a member of the group in the parking lot near the studio where he was working. Although Boyz II Men is most famous for the ballad “End Of The Road”, they ended up singing the “heaviest” songs, Matt Everitt said. Grohl and drummer Taylor Hawkins also talked about the influence of politics on songs and their addiction to Scrabble.